It was a picture perfect night, music, weather, wine and art. I had anticipated showing at Fe Gallery for a year and now the night was upon us. It took my breath away went I saw how elegantly they presented my artwork. This was one of the biggest shows I’ve had, and being the only painter set me like a diamond. The other art was made by metal artists Mark Beutler and Stephen Lyman. We complimented each other in a way that is hard to define – it was engrossing and beautiful. It certainly was the best show in Sacramento that night, or in many nights. The Fe Gallery is a charming blend of rustic and urban loft. It has a front gallery backed by a metal working shop…a real blacksmiths setup. Mixed with heavy metal tools and vintage collectibles, the venue had a look and feel that was simply charming. The far back area was separated for a demonstration on metal work. Stephen Lyman demonstrated how to make a vase of roses out of heavy pieces of metal – a real show in itself. The mixing of tri-tip and the smell of metal added an enchantment like fairy dust to the evening. 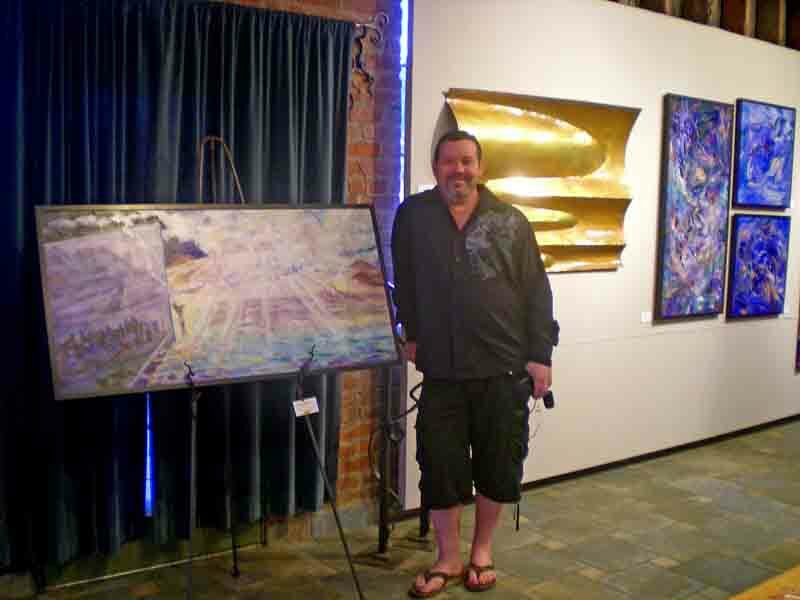 I received many positive comments about my art which always is sweet to hear. In the event I met old friends and made new ones. Altogether, this was the best show I’ve had. If you missed the experience of opening night, you can still see the show through the end of the month. 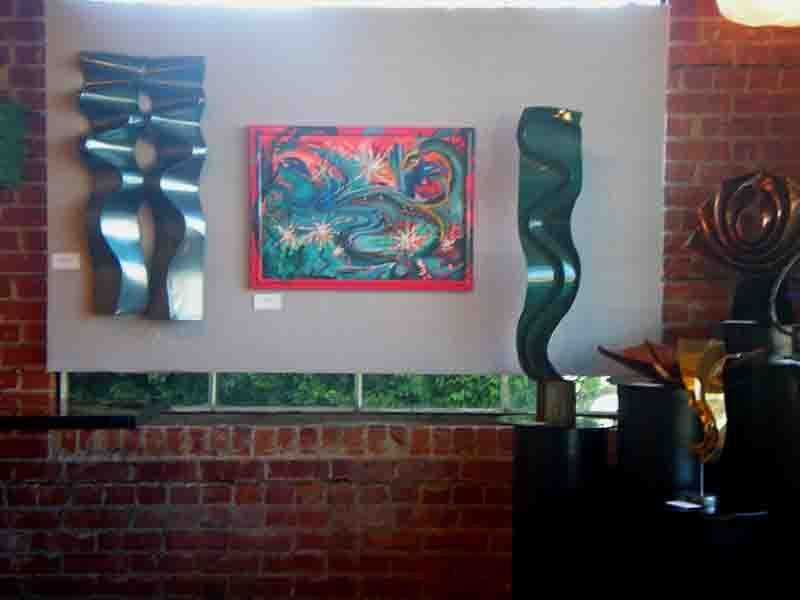 Fe Gallery is located at 1100 65th Street in East Sacramento. Call 916.456.4455 for information. Sounds like perfection! Wish I could have attended, but am going to try to stop by before the end of the month. What a wonderful setting for your beautiful work, KC. Congratulations! We enjoyed seeing your Art Show so much. FE Gallery was a marvelous staging for your art work. Thumbs up to you. Thanks to you too for being there to share the experience!